It's that time again, when we take a step back and 'take stock' of our lives. Be sure to head over to Pip from Meet Me At Mikes ' blog and share the blog love. Cooking: Waffles for dinner! 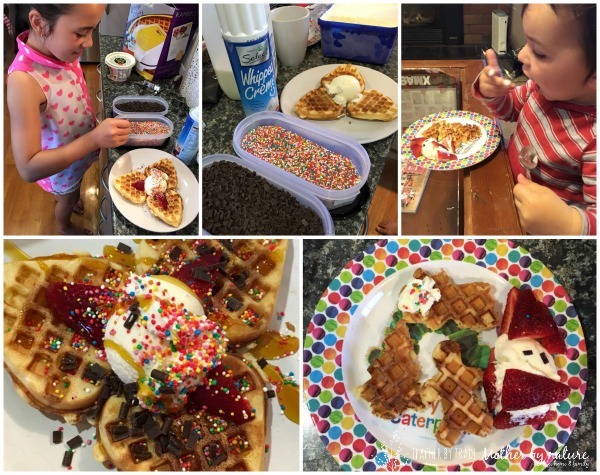 Day 3 of our Advent Calendar is 'Have Waffles and Ice Cream for Dinner' - Don't need to tell me twice. The kids loved it too. 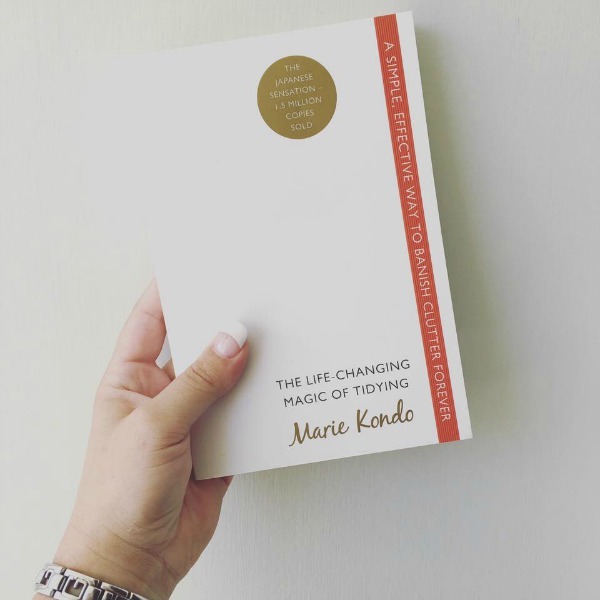 Wanting: to get started on the #konmarimethod but will wait until the new year. Let's get through Christmas first aye. Deciding: to have a small break from the blog, in a couple of weeks, so I can enjoy the Summer sun with my family and friends. Wishing: me a HAPPY BIRTHDAY! (28th Nov) I got spoilt with gifts, hugs, kisses and High 5's! Thanks everyone for your kind messages. You are all amazing. Enjoying: getting #inthepicture - One more to go for 2015! Liking: how convenient my Gift Wrapping Station is. Everything in the one place - I love it! Hoping: people have printed my FREE PRINTABLE - Advent Calendar Bundle. If you have, I would love to see a photo. Cringing: toilet training - any advice or tips? Needing: to buy a few more Christmas presents and then I am done. Woohoo. Questioning: why my Dining Room lights are not working - found out this week it's because I put normal light bulbs in a dimmer light fitting. I didn't even know you could buy 'dimmer' light bulbs. Mind blown! Smelling: like Coconut milk & Jasmine scent. Thanks to my friend who bought me a gorgeous Dove Pamper pack for my birthday. Wearing: shorts and a singlet - it's starting to get really hot. Following: Kiwi Mummy Blogger - Outie by Katrina Ward - she has some gorgeous frocks and amazing books (Adult Colouring and some for kids) for sale! Check her out! Noticing: the bright Pōhutukawa around our city - Summer is HERE!! Thinking: about those who were affected in the Paris attacks. Very sad. Sorting: out Secret Santa for my family. Giggling: at my son's facials when he sees himself on the phone (in selfie mode) - such a crack up! Feeling: emotional. My daughter has one more week left at Primary School! EVER. They grow up so fast. Helping: my blogger pals. I enjoy sharing my blogging knowledge with them, and I know they are grateful for the support. Hearing: Christmas songs playing on the radio. What's your favourite Christmas song? Choose three words from the list and let me know in the comments. 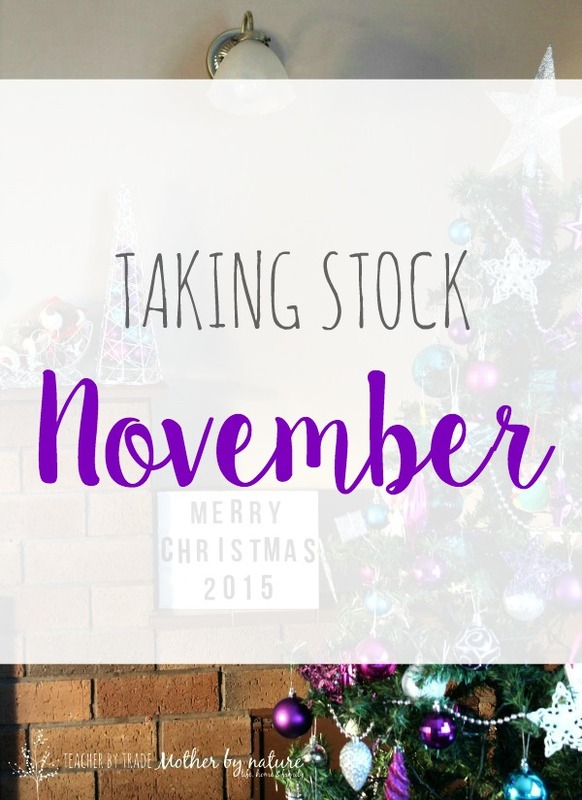 Note: I will be sharing my Taking Stock: December post at the end of the month, so watch this space. Love me a Taking Stock post! First things first, Happy Belated Birthday! Sounds like you had a wonderful time. How's that Marie Kondo book? I'd love to get my hands on a copy. I've been cooking all things gingerbread - muffins, men and am building the gingerbread house this week! I'm loving our Christmas tree this year, it's had a bit of a makeover with new light and a star and I'm wondering what's in my advent calendar today. I better go and check! PS If you're wondering what to get your nephew for Christmas you must check out Gift Grapevine - Tash knows how to give great gift! Love Tash's Gift ideas- I have purchased a few things from her lists already! Smelling: Cucumber & Basil soy candle I bought from the markets this morning. It's soooo refreshing. Thank you Lozzie! 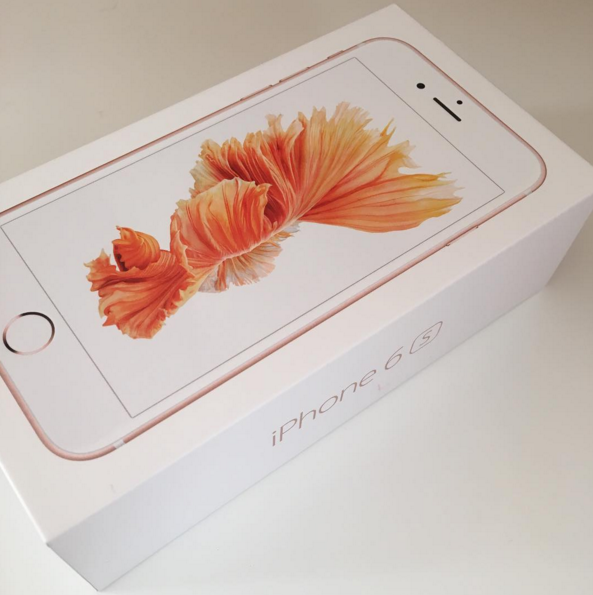 Yes very lucky, I love my new iPhone 6s...oooh let me know if you get one! I am making lots of lists too...it's always crazy at this time of the year!